On Tuesday and Wednesday November 14-15, Gary Nelson and I participated in several key events at the University of Illinois Chicago. The University of Illinois Chicago is an active SAP University Alliances member and teaches several courses where student teams solve real world industry problems. Information and Decision Sciences programs and research emphasize Information Systems, Operations and Supply Chain Management, and Business Data Analytics. With a faculty comprised of world-class researchers and experienced industry professionals, it is committed to educating the next generation of business leaders in the cutting-edge technologies and processes that increasingly define successful businesses. Gary Nelson, SAP Industry Value Advisor, presented an overview of SAP’s view on emerging Digital Supply Chain issues to Dr. Anthony Pagano’s Managerial Logistics Class on Tuesday. The class focuses on management of activities governing flow of materials and products through stages of production and distribution. It includes design of logistical systems and use of mathematical techniques and is part of series of courses that compose a minor in business operations at UIC. On Wednesday, Gary and I participated in the semi-annual Supply Chain Center board meeting during which we joined faculty, SAP customers and business partners in discussing UIC curriculum plans, research opportunities and future events. The Center for Supply Chain Management and Logistics at the University of Illinois at Chicago exists to address cutting-edge supply-chain problems, particularly in this time of industry globalization, the recently passed Central American Free Trade Agreement, increased energy costs, and the need to maintain Chicago area and national competitiveness. Supply Chain Management is a growing field with roots in transportation, information technology, marketing, industrial and civil engineering, and economics. It is an interdisciplinary field that requires innovative, solutions to address supply-chain problems and issues. The board meeting was immediately followed by a career fair for students studying or interested in Supply Chain Management. 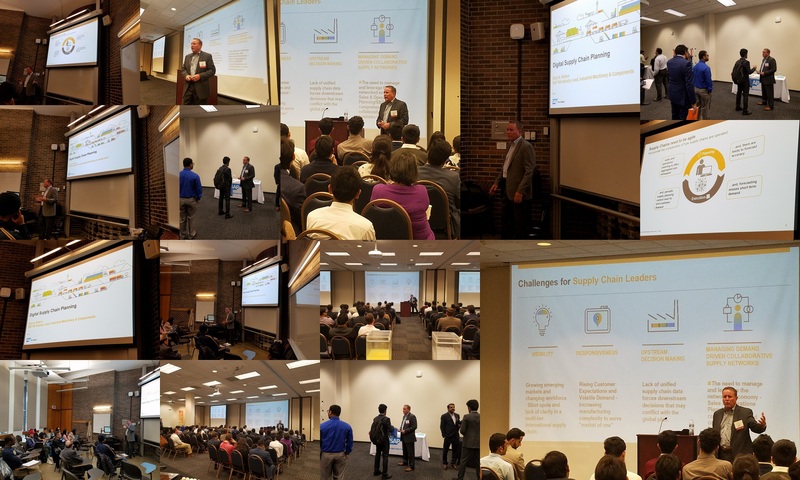 We hosted the SAP table and had the opportunity to speak with both undergraduate and graduate students about SAP careers and careers in the SAP ecosystem. I am very pleased to report that we brought 32 new students into the SAP Talent Community with help from our SAP Early Talent colleagues behind the scenes on that evening. UIC just launched its new SAP Next-Gen lab this week and the above activities are all part of our expanding collaboration with the university.